On July 16, 2018, Finland’s capital of Helsinki is hosting a meeting between Russian President Vladimir Putin and his US counterpart Donald Trump. 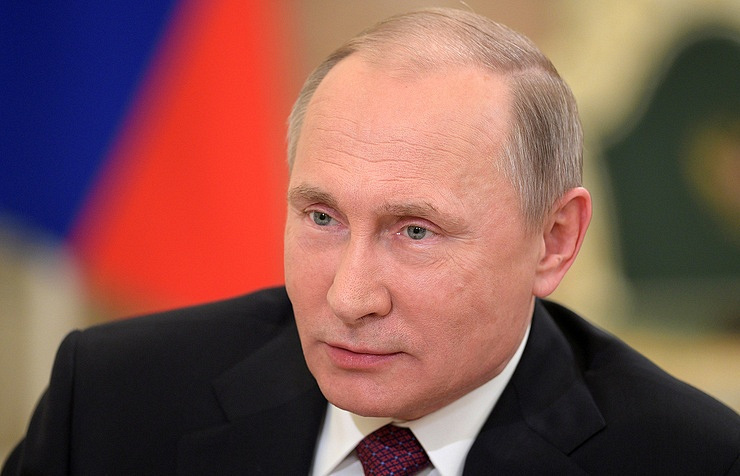 TASS offers a collection of the Russian leader’s remarks about the US president. "I think Reagan would have been pleased to see members of his party emerging victorious everywhere. He would have been happy for the newly-elected president who had perceptively picked up on the public’s sentiment and followed through operating within this paradigm, though no one other than us believed that he would win," Putin said at his annual news conference on December 23, 2016. "The US president has been acting in a highly correct and benevolent way… He is a well-mannered person, comfortable to work and cooperate with," the Russian president told reporters after the APEC summit in Vietnam on November 11, 2017. "There are things he would have liked to do but for the time being can’t, including reforming healthcare and some other fields, he also spoke about improving relations with Russia. It is clear that even if he wanted that, he is unable to do it because of the well-known constraints," Putin said at his annual news conference on December 14, 2017. "This is all dreamt up by people opposing Trump in order to delegitimize his work," Putin pointed out in an interview with ABC News when asked about Russia’s alleged interference in the 2016 US presidential election. "One of the most popular German newspapers has written just recently that President Trump is pushing Europe into Putin’s hands. If we add this to the earlier joke about Russia influencing the US election, then it all together will sound rather ridiculous: as if we influenced the US presidential election and he gave us Europe in return. This is total nonsense. This can only be described as nothing more than a joke," Putin said, replying to a question about the best joke that he had heard lately during his annual Q&A session dubbed Direct Line with Vladimir Putin on June 7, 2018. "The experience I had in communicating with the US president says that although his actions are often subject to criticism, particularly on the international stage and in the field of economics, nevertheless the experience tells me that he is a serious-minded person capable of listening and responding to the arguments presented by the other side. All this gives me reasons to believe that dialogue may prove to be constructive," Putin stated in an interview with Rossiya-1’s Vesti v Subbotu (Saturday News) show on June 8, 2018. "Decisions made in the United States, particularly by the US president, may be treated in various ways. It is possible to criticize them. Many things there are indeed worth criticizing. However, there is one factor that I have already mentioned: Trump always fulfills the promises he made during the election campaign," Putin told the Vesti v Subbotu (Saturday News) show on June 8, 2018. "One of the promises [Donald Trump made during his election campaign - TASS] was to improve Russian-US relations. I hope that it will be fulfilled as well. In any case, we are ready for that. I believe that the ball is in the US court," the Russian president said in an interview with the Vesti v Subbotu (Saturday News) show on June 8, 2018.